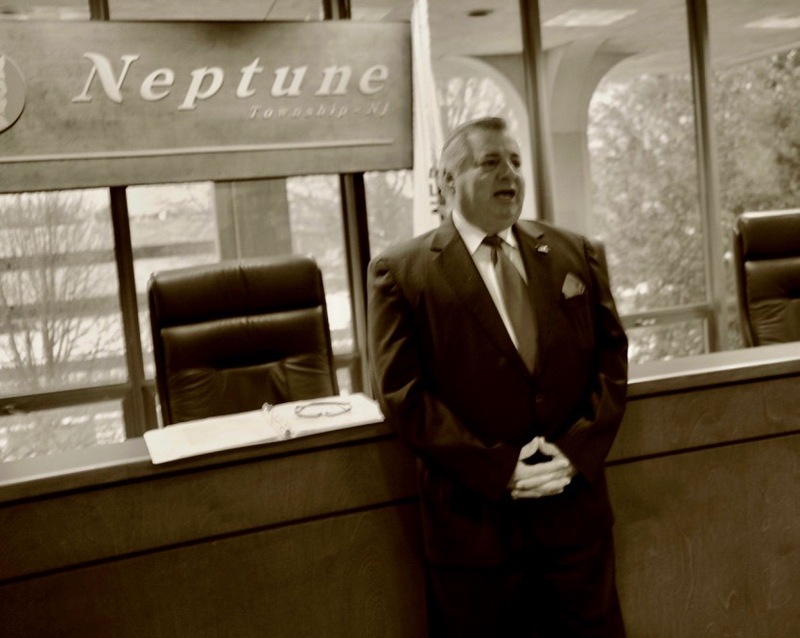 The Neptune Township Committee: What do they promise when they take their oath of office? Anyone can read the minutes of Township Committee meetings. You can see them on line at Neptune township web site. You can also request a CD of any Committee meeting by requesting one at the Clerk’s office. The minutes are verbatim records of the recorded version. ——Mr. Gadaleta handed out a proposed work plan for groundwater management during the sanitary sewer install for Jersey Shore University Medical Center project. He state they were estimating 25 days to finish the project. Jack Braden 94 1⁄2 Heck Avenue commented on Resolution #17-221 and questioned whether the Township received a letter of intent if someone wanted to sue the Town. No one answered Jack according to the minutes. ——-Mrs. Joan. Venezia (OGHOA) questioned how many people were on the Redevelopment Committee and who they were. Mayor Brantley stated he was on it, Deputy Mayor Williams, Vito Gadaleta, the Engineer, the CFO, the Planner and Bernie Haney. Ms. Venezia questioned whether the Committee has met or done anything as of yet at the North End. Mayor Brantley stated they have not done anything as far as the North End but have met a couple of times. He stated they’ve kind of held off until they hired a redevelopment attorney. Update on North End project. Mr. Anthony (Township Attorney) stated that new agreements are complete between the Camp Meeting Association and WAVE. They are meeting to discuss ground rent and transfer fees. The meetings between WAVE and the CMA are private and they are not official in terms of the NERP. Highlights from the Township Committee Meeting Minutes. It’s very interesting to read the minutes of the Neptune Township Committee. Unfortunately, the minutes are not typed and made available in a timely way. For example, on April 25, 2015, two days before the next meeting, the latest minutes posted on the Township web site are from March 9, 2015. You can get your hands on the actual recording of the meeting by going to the Clerk’s Office where, for a nominal charge, they will give you an audio recording on a disc. Anyone can read the typed minutes by going to Neptunetownship.org. then click on Agendas and Minutes. This is an important service. One part that is always of interest is the Public Comments section at the end where anyone can go to the mic and say what they wish. They are allowed 5 minutes, and it doesn’t elicit any discussion, but you can find out some interesting information anyhow. Jack also asserted that there are problems with the Township’s land use regarding the north end pavilion and #4 Boardwalk. He said that some of it might be illegal and he asked the Township to get an opinion from the State. Details of his comment can be found in the minutes. Since very few OG citizens attend those Committee meetings, the minutes and recordings provide a way to know what transpired. You can also read Blogfinger to see our succinct selections. BLOGFINGER POLL: Should Grovers be satisfied with the performance of the Neptune Township Committee as it pertains to Ocean Grove? Editor’s Note: There are five members of the Neptune Township Committee, and perhaps you would rather be polled on each of them individually, but this is a poll of the Committee as an entity, much like the polls we often hear about regarding Congress. It is true that most citizens in the Grove pay little or no attention to the performance of the Committee, but just because Grovers don’t attend meetings (the citizen attendance overall is abysmal) doesn’t mean that they don’t have an opinion as to how the Township is being run, especially as it pertains to Ocean Grove, and, after all, the buck stops in that Committee Room at the Mother Ship. In the one Committee race from last Tuesday, more Grovers voted for Carlson than did for the incumbent McMillan, although it was close. It makes us wonder if Grovers believe that the Township Committee is paying sufficient attention to problems in the Grove. You also might want to say something in the comments below. As you all know, our polls are public opinion samplers and not scientific polling. But I think that our polls can give us a sense of how our neighbors feel about certain issues. 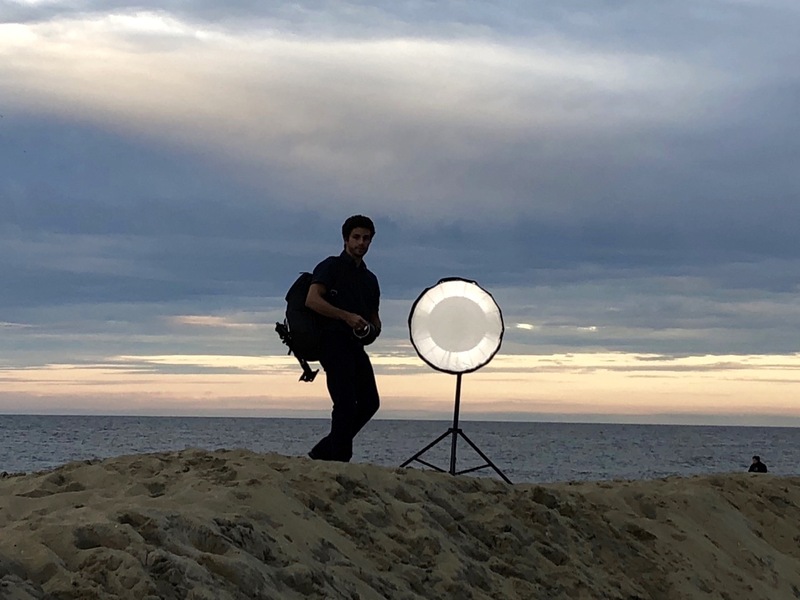 You may have run into Eric Houghtaling pumping iron at the Jersey Shore Fitness Center, or atop a ladder in Wegman’s doing something complicated with wires. At Christmas he can be seen mounting an elaborate two-story lighting display on his Gables home. (He is, after all, an electrician.) These are some of Houghtaling’s everyday venues. But for the past two years, since taking the plunge into politics, he has occupied a seat on the Neptune Township Committee. He is a regular at meetings of homeowners in Neptune Township, including in Ocean Grove. The son of a maintenance man for Freedman’s Bakery, Houghtaling, 58, grew up in the Hamilton Gardens section of Neptune and attended township schools. He is married to the former Linda Deeves, a medical assistant to an Avon physican. 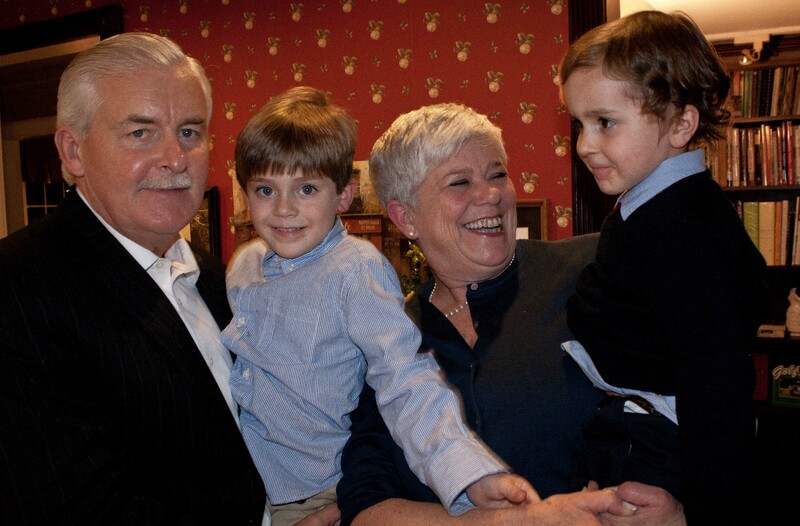 They have three grown children and six grandchildren. To run as a Democrat for a Township Committee seat, he needed the endorsement of a majority of the Neptune party’s district leaders. The candidate they selected would be Bishop’s running mate, so Bishop’s vote was key. As it happened, the pair had met once before, when Houghtaling was president of Little League and a member of the Township’s recreation committee. “I was impressed with his earnestness and his dedication,” Bishop told Blogfinger. “I thought to myself, what a great guy.” When the pair met for a beer to discuss Houghtaling’s desire to run, Randy’s impression was ratified all over again. 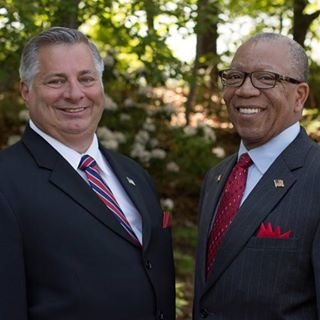 In the two years they have served together, the former mayor said, “He has been not only an incredible colleague but an incredible friend.” They will run for reelection together next November. One thing Houghtaling is proud of is a plaque recently presented to Jose Cruz, a Township public works employee for 40 years. He ran into Cruz at the gym and was stunned to learn that he had retired with no fanfare, not even a ceremony. Houghtaling, the Township Committee liaison with the Public Works Department, put into place a procedure to recognize not just Cruz but all retiring Township employees with lengthy terms of service. One thing a reporter learns when writing a profile of a person is always to talk to the mom. “He didn’t listen,” she answered immediately. We asked her to tell us more. The owner had his revenge. The police were called. Eric was arrested for loitering. His dad came down and got him out of the pen. After six months his record was expunged. We recently reported that the Camp Meeting Association hopes to conclude a redevelopment agreement with Neptune Township soon and then, in 2013, to break ground on its North End hotel and condominium project. Before that happens, we hope the Township officials and the citizens of Ocean Grove will give this project a sober, fresh look. The area in question is the vacant space next to the boardwalk between Spray Avenue and Wesley Lake. The plan, as presently conceived, would allow for a five-story hotel with approximately 80 rooms, plus a condominium complex of more than 70 units, plus a few single-family homes. If this is built, it will be the most massive construction project in Ocean Grove’s modern history. Its impact on all of us will be substantial, and that impact will begin at the opening gun, with the start of construction. Try to visualize this. Ocean Grovers are already experiencing two much more modest construction projects — the replacement of the burned-out homes and hotel on Surf and Atlantic Avenues, and the drainage work on Broadway. Both those projects have brought us inconvenience, but they are trifling compared to what the North End will bring. The North End project will likely disrupt just about all of Ocean Grove. It will mar our landscape with piles of construction materials, heavy equipment, mounds of excavated dirt, trash, traffic congestion and noise – everything that a construction site of that magnitude implies. These disturbances could persist for a very long time. And after all that grief, what will we have to show? Scores of new condominiums which Ocean Grove doesn’t need and which most Ocean Grovers almost certainly won’t like. And that’s before we even consider the impact on parking. When this plan was hatched about five years ago, the land in question was zoned for single-family homes. The Neptune Township Master Plan explicitly prohibited condos there. The landowner – the Camp Meeting Association — got around that by having the area declared “in need of redevelopment,” a legal designation typically used to rescue blighted areas, slum properties and the like. Although that designation solved the Camp Meeting’s zoning problem, the trade-off was that it gave the Neptune Township Committee the authority to guide the project, deciding such matters as its size, density, number of housing units, number of hotel rooms, amount of required off-street parking and so forth. The Township Committee was originally friendly toward most everything the developers wanted to do. When Randy Bishop first became mayor in 2008, he succeeded in reducing the size of what had been proposed. However, Bishop was in a relatively weak position at that time, because some on the Township Committee seemed inclined to allow a truly massive development. On the night the Committee finally approved Bishop’s compromise plan, Bishop said he personally didn’t much like it but that he had been forced “to look for the middle ground.” In other words, it was the best deal he thought he could get. That was then. Now, the Township Committee’s composition has changed. So, perhaps, has the mood of this community. 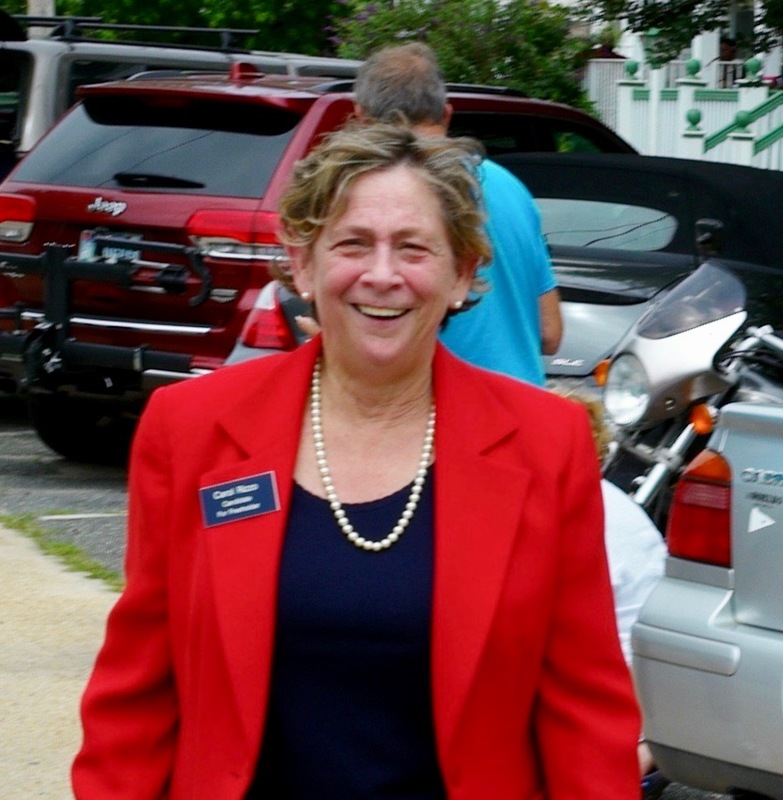 (At a Home Owners meeting in June, Committeewoman Mary Beth Jahn got a rise from the audience when she spoke of a radical scaling back, including the total elimination of all the proposed condos.) It appears to us that three of the five current Committee members should be willing now to further reduce the size of this project. Those three would be Bishop, Jahn and Eric Houghtaling. As a majority, they have the power. Leaders of the Ocean Grove Home Owners Association also appear to be of a mind to fight for a better deal. Last year the Home Owners’ standing committee on the North End made a set of very thoughtful suggestions, which the organization’s membership voted to approve. One suggestion was that the Township should require that the hotel be built first, then the single-family homes, and then, if condos are to be built, they should come last. One fear is that the developer might build the condos first and then decide that, after all, the hotel isn’t feasible. Another fear is that if a large hotel is built, and if it then begins to lose money, the Camp Meeting might be impelled to convert it into yet more condos. Another proposal by the Home Owners is that the condos should be built in blocks, and that each block of condos should be 75 percent sold before the next block could be started. This, it is argued, would help insure that we don’t end up with empty, partially-built structures, as has happened in Asbury Park. The Home Owners’ position paper contains quite a few such ideas, intended to reduce adverse impacts on the town and avoid a potentially disastrous outcome. We suggest that everyone read this document. Before the North End project can proceed, the developers and the Township Committee must negotiate a contract spelling out the details in considerable specificity. During these negotiations, everything is subject to reconsideration. Although the negotiations themselves will be conducted behind closed doors, their product will have to be made public and enacted into law before work can begin. So, eventually, there must be public input. The Home Owners position paper also suggests ways to make things more transparent on an on-going basis, such as having the Township publish on its website regular updates including the text of all reports on environmental impact, traffic impact, water table tests and the like. We urge the people of Ocean Grove who care about preserving the charm, character and livability of this community to start paying attention to this process now. Attend the monthly Home Owners meetings and ask questions. Keep in touch with your Township Committee members. Be curious. As Grovers come to understand the implications of this project, we hope they will push with all their might for a better – which is to say, much less massive – redevelopment plan. NOTE: For an outline of basic facts about the North End plan, go here. And also here. To read the Home Owners’ position paper on the North End, go here. Could the Broadway drainage project turn out a failure? That’s what worried large numbers of Ocean Grovers at Monday night’s Township Committee meeting. Although this $1 million construction project has plowed up large portions of Broadway, closed the street to traffic for much of the summer and brought noise, trash, dirt and anxiety to residents, many said that, after all that hassle, they doubted the project would fix their perennial flooding problem. As one resident after another paraded to the microphone to question and complain, it became clear that a major factual disagreement existed between the Township officials and some of those residents. Township officials contend that the main cause of the August 15 flash flood and a lesser but still significant flash flood on Monday was a partial blockage at Broadway and Central — a blockage that, once corrected, will no longer impede storm water flowing toward outlets at Fletcher Lake. Some residents weren’t buying that story. They said the problem isn’t a temporary, rectifiable choke point at the Central Avenue intersection; rather, it’s that the entire recently-installed system of underground drainage pipes is too small to handle runoff from a normal summer rain. Francis Paladino, who lives at 69½ Broadway and is chairman of the OG Sewerage Authority and a former president of the OG Home Owners Association, said that on Monday the water was 18 inches deep along his curb. He said from his own observation of the two recent floods he had concluded that the drainpipes newly installed along the length of Broadway were simply too small, and that this was why the street continued to flood. “We’d better take a look and go back to the drawing board,” he told the Committee. Allan Ellgren, who lives at 55 Broadway, told the Committee that he felt “the project is not going to work.” In fact, he said, since the Township began installing the new system, the flooding problem has grown worse. Leanne Hoffmann, Neptune’s director of engineering and planning, said the work at Beach Avenue “isn’t complete yet.” The solution to Tellefsen’s problem, she said, will be the addition of two more grates on Beach, which should be installed by the end of September. Hoffmann and Township engineer Peter Avakian both said another major remaining task is to replace the old box culvert underneath Broadway at Central. This culvert unexpectedly collapsed on Tuesday of last week, and it was this, Avakian said, that had caused water to back up all down the street. It will take approximately two weeks before the contractor can begin replacing that compromised culvert, Hoffmann said. Paladino maintained that these fixes won’t solve the problem. Although broken, the old box culvert was carrying all the water that flowed into it on Monday, he said, and in fact it was only “running about half full” because that was all the water the upstream pipes could deliver to it. He said he had personally witnessed this. Even though Township officials predicted that things would soon be better, they did appear to be scaling back expectations of how well the new system will perform. Whereas Paladino, who has followed the project since its inception, maintained that its original goal “was to eliminate the flooding on Broadway,” Avakian said the system “won’t take all the water” that flows down Broadway. The project will only be able to handle “a two-, five-, ten-, up to a 25-year storm,” he said. Officials said both this week’s and last week’s rains qualified as 25-year storms. One of the reasons more runoff seems to be pouring down to Broadway these days is that a previous outlet, which took water from Main Avenue beneath the boardwalk and into the ocean, has been eliminated. The water that used to take that route to the ocean now flows south from Main toward Broadway. Several residents wondered whether the Township intended, once the project is completed, to restore Broadway from its current trashed-up condition to its former beauty as one of Ocean Grove’s showplace boulevards. Mayor Randy Bishop promised that this would be done.